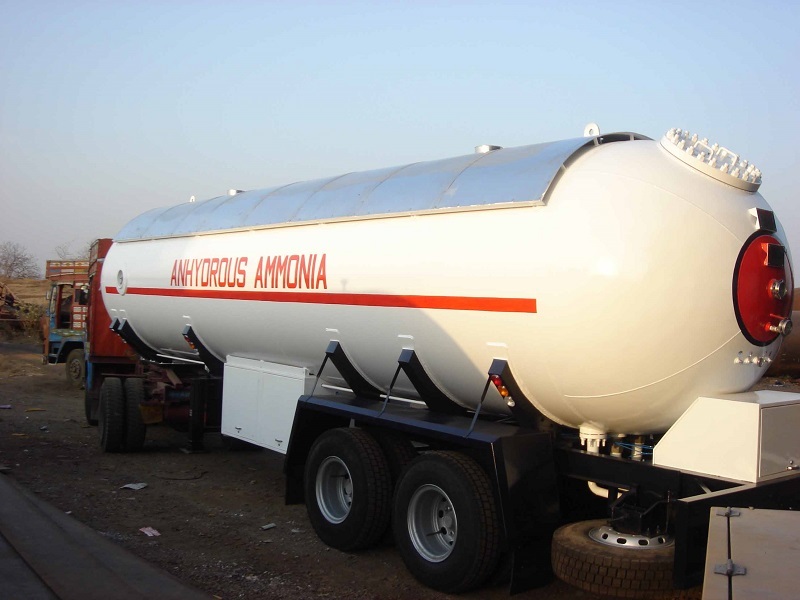 We manufacture Anhydrous Ammonia transport tanks of various capacities ranging from 7500 Liters to 57000 Liters . The unit comes with all safety features as per norms . Semi trailer tanks are provided with double or triple axle rear trailers .The tanks are provided with unloading pumps for decanting .All accessories like Tyres , mudguard , king pin 2 or 3.5" ,safety fittings ,valves , pipelines, Excess flow valves , internal valves , are provided as per requirement .